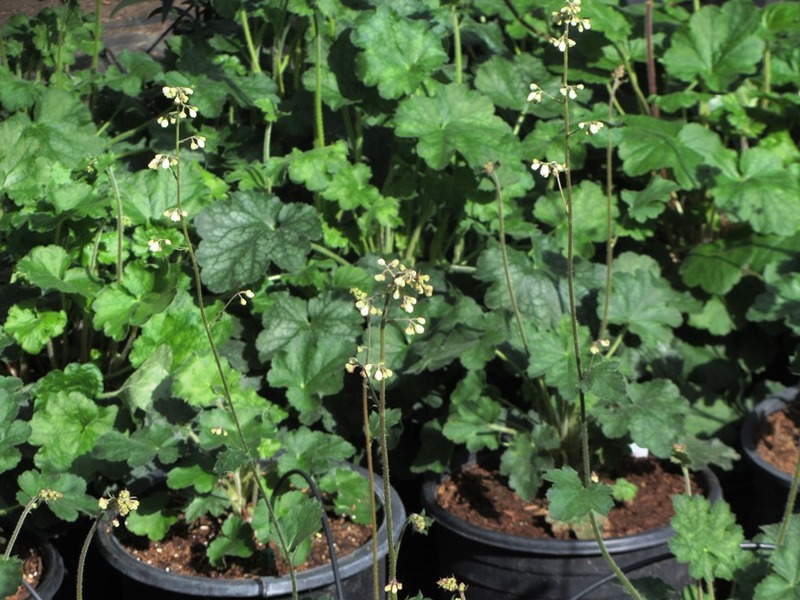 Heuchera ‘Opal’ is actually a hybrid Heuchera with H. maxima as one of it’s parents. Flowers spring to early summer with white flowers on 2′ flower spikes. Large evergreen leaves all year – fairly drought tolerant but may need a bit of water 2x/month in summer for inland gardens.